There is very lit­tle elec­tric­ity gen­er­ated by Darunta Dam which is divided between the cor­rupt offi­cials and a few hos­pi­tals and gov­ern­ment offices in Jalal­abad. House­holds in Jalal­abad buy elec­tric­ity from these expen­sive com­mu­nity gen­er­a­tors: $1.25/KW. Most fam­i­lies do not use heaters or air con­di­tion­ers or any­thing that use a lot of elec­tric­ity to save on bills at the end of the month. One gen­er­a­tor pow­ers about 60 house­holds. These are pri­vate busi­nesses and there are no reg­u­la­tions from the gov­ern­ment and the busi­ness own­ers can charge peo­ple how­ever much they want. Peo­ple mainly use it for lights and watch­ing TV. In hot sum­mer of Jalal­abad, there is no way peo­ple can save by not run­ning fans. Peo­ple save up for the three really really hot months of sum­mer when they’re run­ning up the bill. Some peo­ple use another trick: If there is a gov­ern­ment offi­cial who lives on their neigh­bor­hood and their power cable goes by their house, they would steal their elec­tric­ity. It ain’t good if they find out. They have to take chances. The term use for steal­ing elec­tric­ity is ‘Changak’ which lit­er­ally means ‘secret con­nec­tion’. 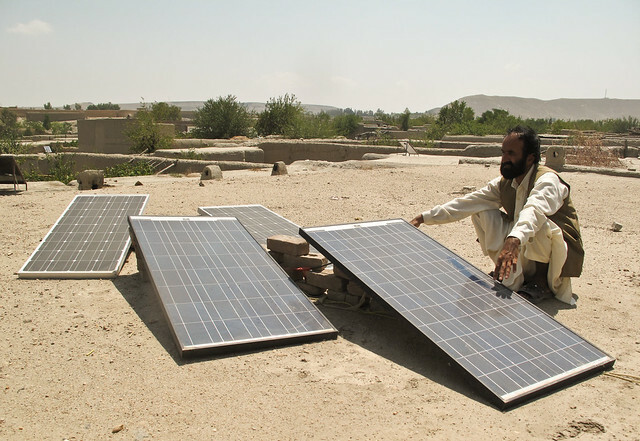 Some fam­i­lies make a one-time big expense (if they can afford it) and get solar power sys­tem for their house­hold. 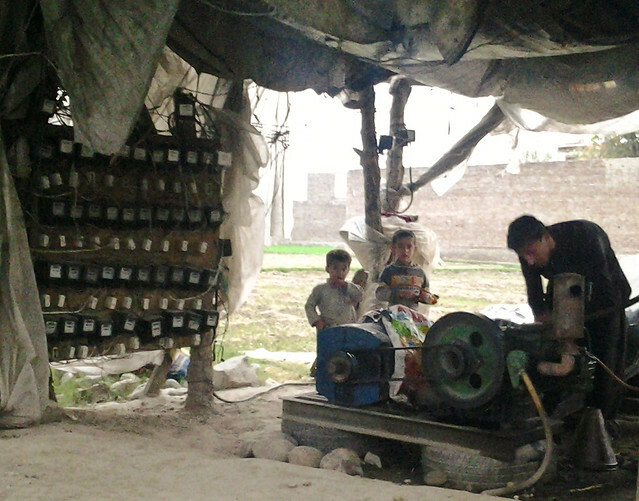 Com­mu­nity gen­er­a­tors are more com­mon in rural areas of Afghanistan. In some areas where peo­ple do not have cash to pay, they give them wheat, rice or any other crops for the amount of elec­tric­ity they’ve used in a cer­tain period of time. Some­times there is a set prices. Every­one for exam­ples pays $20/month. Con­di­tions apply. An exam­ple con­di­tion would be, every cus­tomer should use 25 watts energy effi­cient flu­o­res­cent lights. hey can any­one tell me abt the elec­tric­ity of Naghlu and sarobi… has it arrived to nan­garhar or not?? They’ve installed pylons all the way from the dam to the city but the elec­tric­ity has not come yet. I think they’re putting fin­ish­ing touches to the tech­ni­cal part of the project and soon they’ll con­nect the city to this addi­tional power source.